Looking For Bricklaying in Staffordshire? 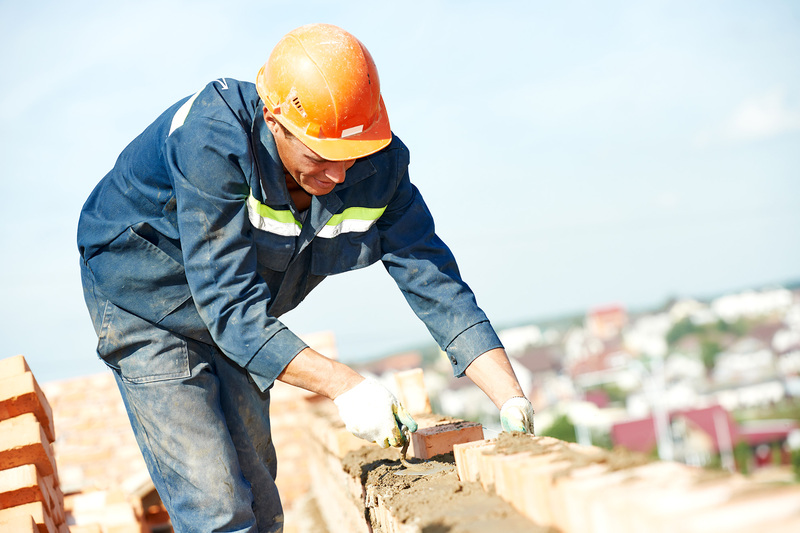 When choosing bricklaying in Staffordshire it’s essential to choose a contractor you can trust. Andy and his team have built a reputation around their reasonable prices and exceptional finished results. Andy has thirty years experience in bricklaying in Staffordshire and over this time has completed projects throughout the Staffordshire area, creating a large, happy customer base. Many of our customers return, and value finding such high quality bricklaying in the Staffordshire area. No matter the size of the bricklaying project, Andy and his team can help. From bricklaying in Staffordshire for maintenance purposes and small building projects right through to larger construction projects, Staffordshire Brickies have experience in a range of bricklaying project sizes. Our past portfolio includes conservatories and house extensions, commercial and domestic projects, and we’re always open to try and help you with any specific requirements or specifications. To find out more about our past experience of bricklaying in Staffordshire then get in touch, we can advise you on the right course of action for your project and supply you with a tailor made quote. Andy’s experience in the trade means that he can answer any questions you may have and give you a reasonable price for your potential project. 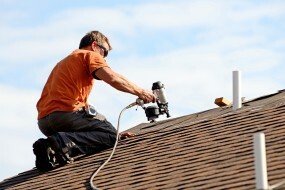 Looking roofing in Staffordshire? Staffordshire Brickies can help! There are many individual types of roofing but most of these can be split into two major categories – flat and pitched/sloping. A roof doesn’t have to be completely flat to be classed as a flat roof, but is generally defined as having a pitch less than 15 degrees. A pitched roof is anything above this, and on a usual building this would be around 40 to 50 degrees. Flat roofs usually have a little pitch to help water to drain into allocated areas, otherwise the roofing would get waterlogged easily. They consist of a water resistant layer, a thermal layer for insulation, a timber deck, roof joists and a plasterboard ceiling. A pitched roof is configured slightly differently. It too has joists, but it uses wooden lath and is finished with a tile covering. It also usually has its insulation in the rafters rather than attached directly to the roof, this can vary though if the roof area is used and added warmth is required. If you’ve decided on a pitched roof you then have to decide which tile type would be most suited for your roofing in Staffordshire. There are three types which are most commonly used. The most popular type of roofing in Staffordshire is concrete tiles. These are incredibly versatile, owing to their availability in various shapes, sizes and colours. The second option is clay tiles, these can also be shaped into a variety of shapes, and are highly regarded due to their durability. Lastly we have slate tiles, they are often chosen for their appearance, high quality finish and longevity. If you’re looking for roofing in Staffordshire, Staffordshire Brickies is for you! We’ve completed many roofing projects in Staffordshire covering a variety of building types and sizes. We pride ourselves on the high standard of our work, and have built a trusted reputation and large client base around this. If you would like more information about our roofing in Staffordshire then please get in touch, Andy is ready to help you with any questions, queries or quotes you may have. With over 30 years of experience in bricklaying in Staffordshire, Andy and his team are highly qualified and dependable professionals. If you need some roofing in Staffordshire, Andy and the Staffordshire Brickies team are the perfect men for the job. Are you looking to add fencing to your garden in Staffordshire? Luckily for you, Andy can install any type of fencing to a professional standard.